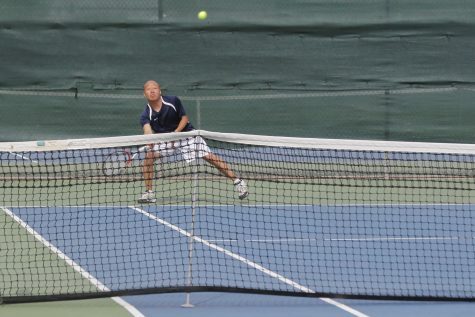 Freshman Kien Dang has started been a force early in the season for the Hawks with a 4-1 record in singles matches. Dang immigrated from Viet Nam in 2016 and his main focus at CRC is to transfer to the nursing program at Sac State. 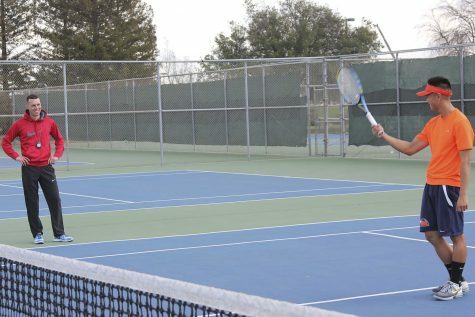 Take a look inside inside the Cosumnes River College tennis courts any day of the week and you will encounter a group of student-athletes hard at work. Amongst the group is headband wearing, smile inspiring jokester and tennis star Kien Dang. 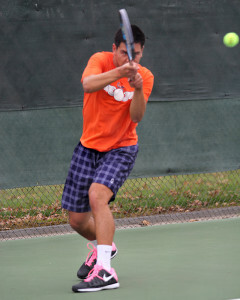 While he may look like a beast while he emulates his idol Roger Federer and scores a point with a ridiculous between the legs shot called a “tweener,” the aspiring nursing student is more care than scare. Dang is not new to tennis, but the player of seven years is new to America. He moved from Ho Chi Minh City, Vietnam in December 2016. “My uncle brought us here for the purpose that me and my sister would study and have a better education,” said Dang. Education has always come first for Dang. Originally an engineering student, he decided to switch to nursing where he hopes to eventually transfer to Sacramento State. 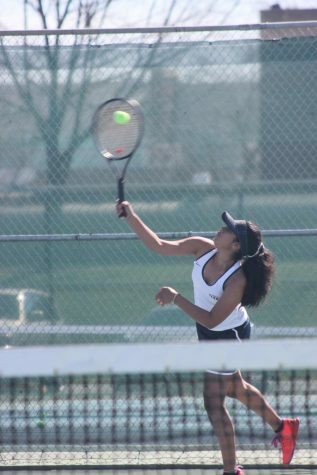 Tennis has always just been something of a hobby according to Dang. “My dad wanted me to play tennis because I played too many video games,” said Dang. What may have just started out as a hobby has developed into quite a talent that has his coach and teammates impressed. 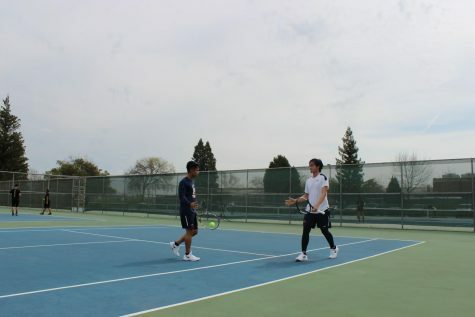 Dang’s doubles partner, freshman Kyle Lopez, is often the beneficiary of his on-court dominance. 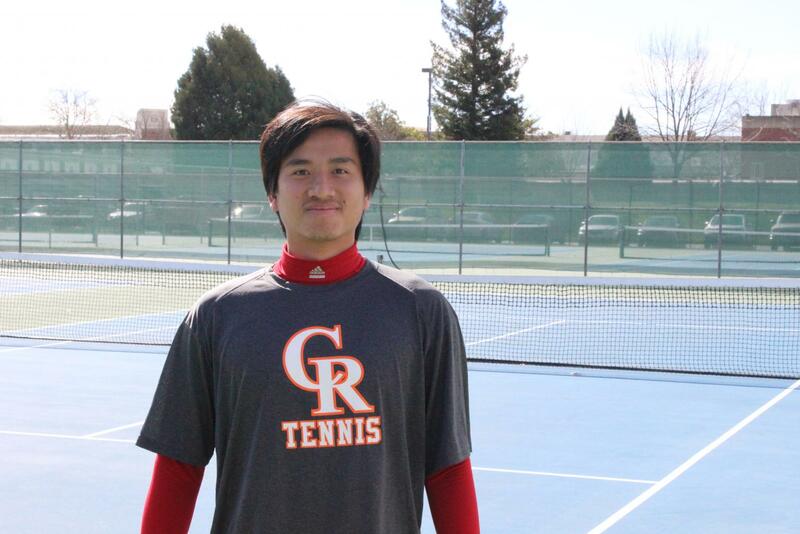 In addition to excelling as a doubles teammate, Dang is a dominant singles player as well. Dang has his eyes and aspirations set on the nursing program at Sacramento State University in 2021. 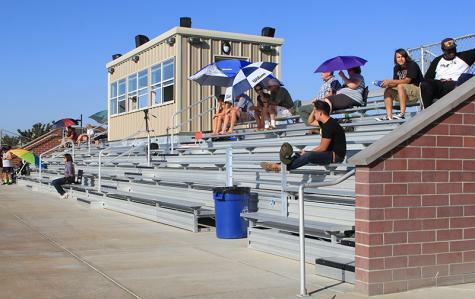 Until then, the students of CRC should take some time to check out a seriously special student-athlete.